We understand that having your Google Pixel screen replaced is quite a hassle and therefore we endeavour to make the experience as painless as possible; which is something we’ve become well-known for here at Phone Ninja. 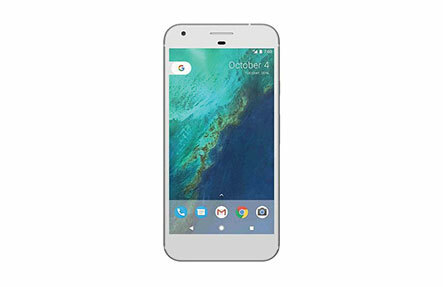 We have stores across Perth, Western Australia which all perform Google Pixel repairs, often while you wait, so we are very easy to find. Thinking of visiting other repairers in Perth? Then think again, not only will they cost you more, but we offer only high quality parts that deliver the same quality, feel and picture as the original. Also we offer a price match guarantee, find a cheaper price in Perth, and we’ll match it. We have over 8 years in the repair industry Phone Ninja is the brand more customer’s trust for Google Pixel Repairs, so come down to one of our stores, or contact us today! If you have device other than the Google Pixel 1, please follow the link for other Pixel Repairs. Copyright 2014 Phone Ninja, All rights reserved. All other trademarks & copyrights are owned by their respective owners. We are an independent phone repairer and not affiliated with Google Inc. in anyway. All our Google and Nexus repairs use compatible or refurbished parts only. None of our repairs, products, or parts are official nor endorsed, authorized or refurbished by Google or Pixel or HTC.